A Vietnamese blogger who vanished in Thailand earlier this year is being held in a Hanoi prison, his friend and wife confirmed Thursday. Truong Duy Nhat wrote weekly posts about politics and current affairs for Radio Free Asia (RFA) and last posted about the prospects for change in Vietnam in light of major anti-government demonstrations in Venezuela. All independent media is banned in Vietnam and bloggers, activists and rights lawyers are routinely jailed. The one-party state has seen an uptick of arrests under a hardline leadership in charge since 2016, with nearly 60 put behind bars last year according to an AFP tally. Nhat, 55, fled to Thailand in January and applied for refugee status with the UN High Commissioner for Refugees, according to RFA. His employer and family lost contact with him soon after and he has not been heard from since. The UN said it does not comment on individual cases. Nhat's friend Pham Xuan Nguyen said he visited Hanoi's T-16 jail on Wednesday and received confirmation Nhat was being held there. "I took Nhat's wife to the jail yesterday. I saw the book the jail gave to her to register future visits," he told AFP Thursday. "Inside the book, the date of his arrest was written January 28, 2019... it said that he was transferred to the jail the same day," the friend said, adding that they did not see Nhat. The blogger's wife Cao Thi Xuan Phuong confirmed the account to AFP, declining to comment further. His daughter Truong Thuc Doan, who lives in Canada, said she believes he was taken from Thailand against his will. "It's clear that my father did not voluntarily go back to Vietnam," she told RFA. The circumstances of Nhat's return have not been confirmed by Hanoi and he has not yet been formally charged. RFA spokesman Rohit Mahajan said Thursday the organisation remains "very concerned about our contributor and his treatment in detention". This is Nhat's second prison stint. He was jailed for two years in 2014 for "abusing democratic freedoms" after writing blogs critical of Vietnam's communist leadership. 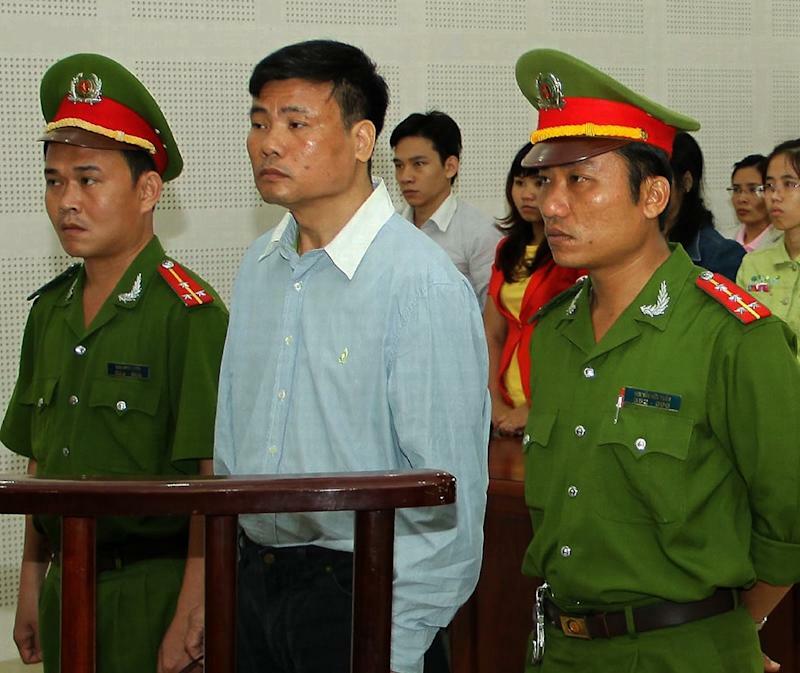 Hanoi has in the past forcibly returned corruption suspects, including a former state oil executive kidnapped by Vietnamese security agents from a Berlin park in 2017. Last year, a fugitive spy was sent back from Singapore to face trial for divulging state secrets.